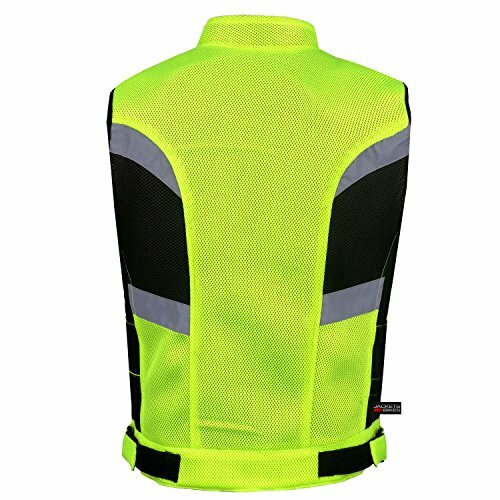 Outer shell produced of ultra breathable mesh. 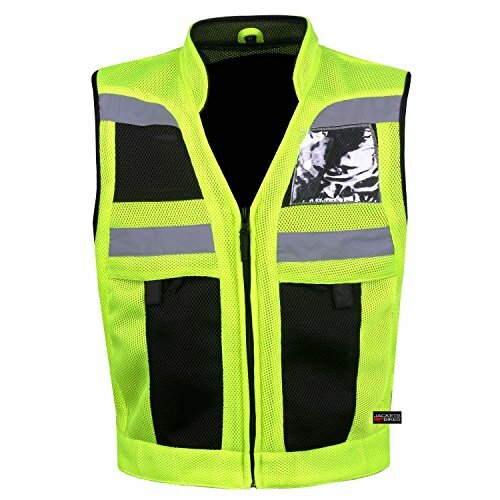 Reflective panels on front and back for evening time visibility. Chest pocket for ID card. Two front pockets. 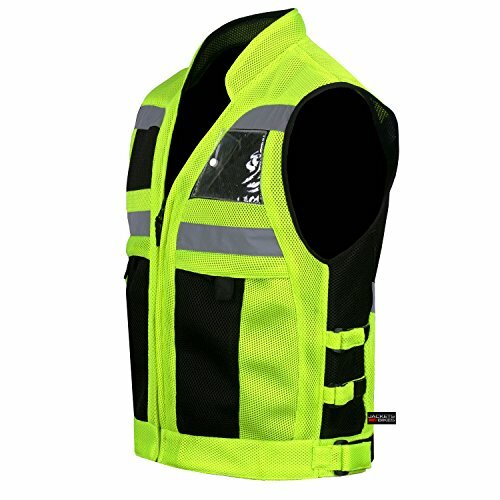 Double density back armor brings a unique feature in this vest. 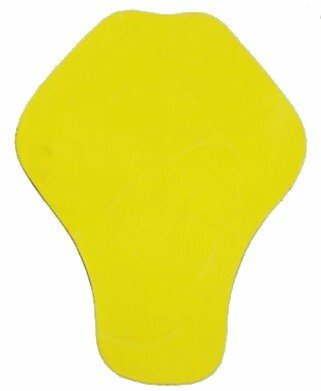 It is held in place within a Velcro pocket. It can easily be eliminated or modified if required. YKK zippers. Side waist changes. Developed for US Military personals and Bikers.